Backed by a team of skilled designers in this domain, we are engaged in offering an exclusive collection of Heart Shape Thali Set. This set perfectly designed using latest technology and high grade raw material in compliance with set industry norms. 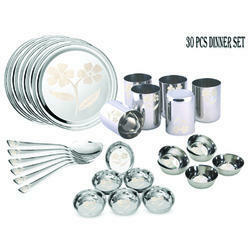 Our offered set provides elegant look and classy appearance to the ambiance. 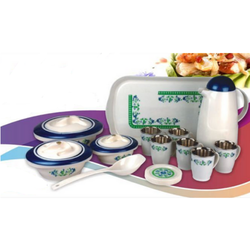 Melamine Buffet Set Ethnic Design, Size: 12.5"